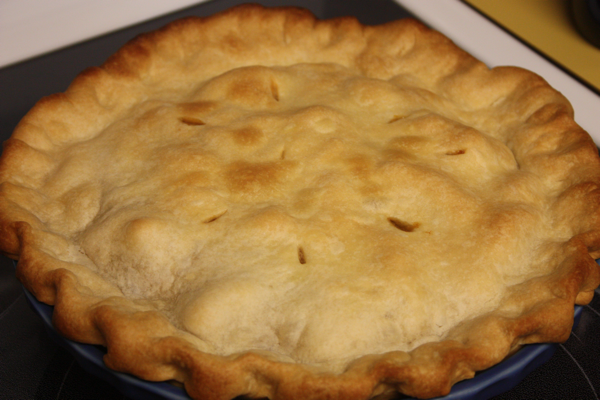 As we have been making our way through our box of peaches, I knew I had to make this pie for Jeffrey. It is one of his favorites. 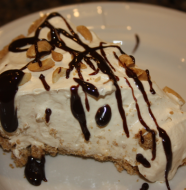 I first made this pie for him when we were dating. 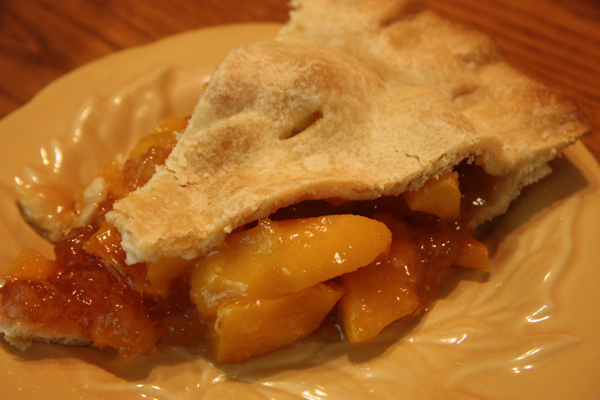 I thought, what better way to the heart of a Georgia boy than making homemade peach pie? I guess it worked! 🙂 Today is our 13th wedding anniversary. I am blessed to have Jeffrey beside me. 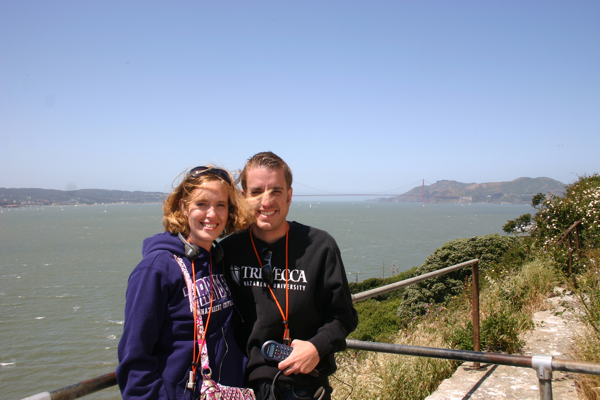 He is an amazing husband, father, and my best friend. (Not to mention my go to computer guy.) I love you babe! Happy Anniversary! Put one of the crusts in the bottom of a pie pan. Combine sugar, tapioca, and salt in a mixing bowl. Add peaches and toss gently to coat. Stir in almond extract. 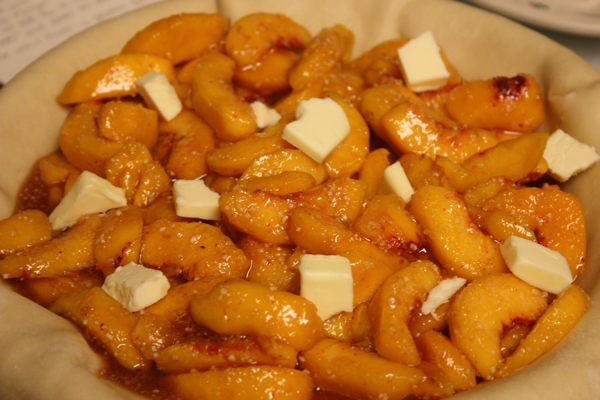 Pour peach mixture into pie crust and dot with butter. 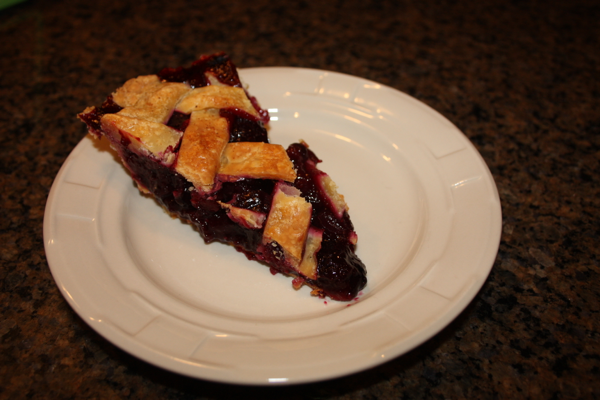 Put other pie crust on top, trim edges, seal and crimp the edges. 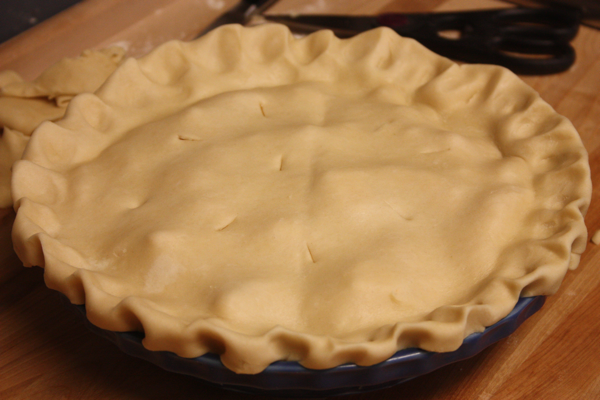 Cut several slits in the top crust to allow the steam to escape as the pie cooks. Filling in the crust and topped with butter. Top crust on and ready to go in the oven. Golden brown and fresh from the oven. One Comment on "Georgia Peach Pie"
Looks very yummy!! Love the shirts.